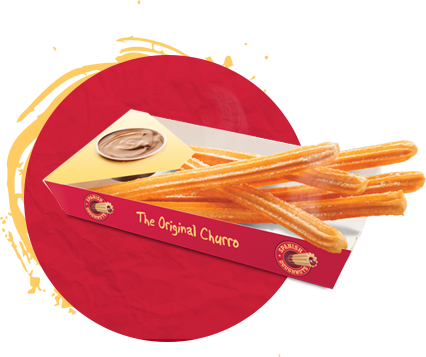 Our Original range of fresh and delicious Churros is where it all began. It all started with a simple idea of providing the best Churros the world has ever seen. So come in and say hi and grab yourself a hot or cold Churro. The Original Churro, a fresh golden brown on the outside with a light and fluffy centre. Rolled in traditional cinnamon or icing sugar and served hot with a our secret smooth chocolate dipping sauce. 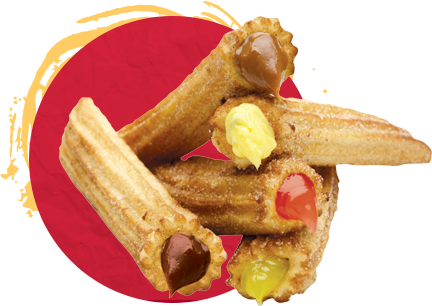 The Original Hot Churro are available as a 3 pack and also a 6 pack. Hot crispy bite size churro’s served with our 3 chocolate sauces. Not after something sweet? It's also available with 3 savoury sauces. Our Choco Churrito's come with three sauces - Milk Chocolate, Dark Chocolate & White Chocolate. Or if you're after something more savoury Three Olive, Avocado & Sundried Tomato. 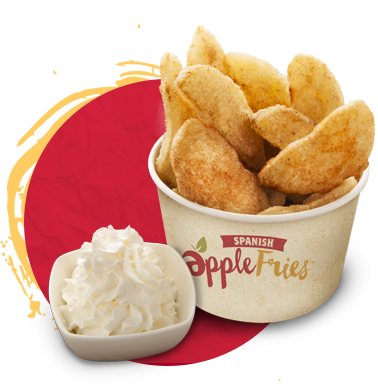 Our Spanish Apple Fries are a fresh and delicious product. Sweet, crispy apples, peeled, sliced and coated in our secret recipe, cooked in cholesterol free oil and served with whipped cream... Yum! Our Spanish Apple fries are made with love by us. You can only get them at Spanish Doughnuts so get in quick and try them out today. 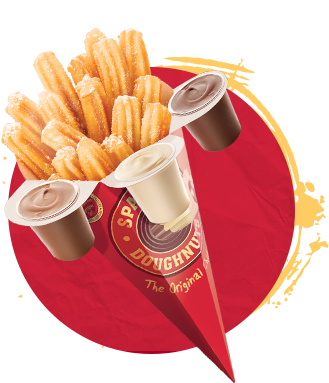 Our Hot Churro Fillers are tasty designer churro with melt in your mouth fillings.